See guest artist Mel Douglas in a live, narrated demonstration in the Amphitheater Hot Shop on August 25 from 6–7:30 pm. Highly regarded for her mastery of the craft, Mel Douglas has exhibited in many group and solo exhibitions both nationally and internationally. 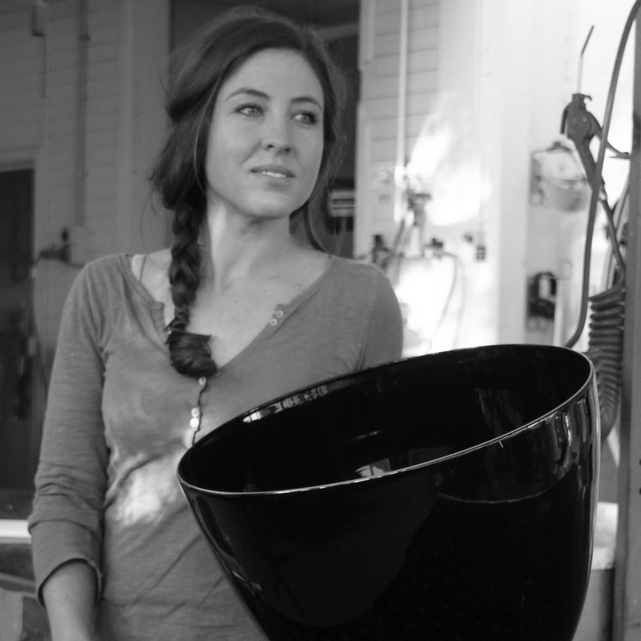 She is currently a PhD candidate and sessional lecturer in the Glass Workshop at the ANU. Her delicate, subtle work comes from the slow and considered process of engraved mark making. Mel Douglas is a graduate of the Australian National University, School of Art, Glass Workshop. Douglas has exhibited in many group and solo exhibitions both nationally and internationally. Her work is held in permanent collections such as the National Gallery of Australia and The Corning Museum of Glass.